WOW talk about a whirlwind of emotions. 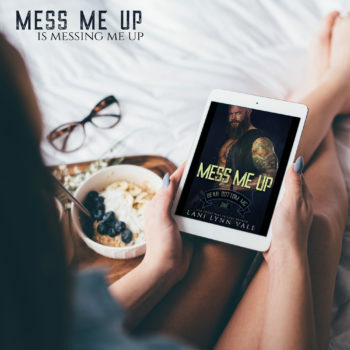 The author has done an outstanding job with “Mess Me Up”. My goodness what a ride.The storyline is written in such a wonderful way that the reader can’t help but feel that that they are right in there with the characters looking over their shoulders and feeling everything they are. And trust me when I say feel it, you will, from the tip of your toes, straight through your heart and to the top of your brain. This is a story about love, tragedy, loss and trying to find your way through it all. Rome is a former football star that has left the game and is struggling with life for very private reasons. He’s moves to the small town of Bear Bottom, Texas to be closer to his young son. Rome also becomes a member of the local MC and gets by with the help of a pen pal that he can tell his troubles too. When his ex-wife leaves town and literally dumps his small son on him, Rome gets help from Izzy, his ex’s housekeeper that adores the little boy. Izzy is a very private person with few friends. She comes from a rough childhood and is laying low from a dangerous ex. She has also had a crush on Rome since the first time she saw him on TV. Izzy jumps at the chance to help him with his young son and become his housekeeper. When tragedy strikes Rome goes into a nosedive, locking out everyone who cares for him. Can Izzy and his brothers of the Bear Bottom MC save him from self destruction? This is such an emotion book that will have you laughing one minute and grabbing for the tissues the next. But one thing is for sure, this is a MUST READ. I can’t recommend this book enough. If worth so much more than 5 stars. 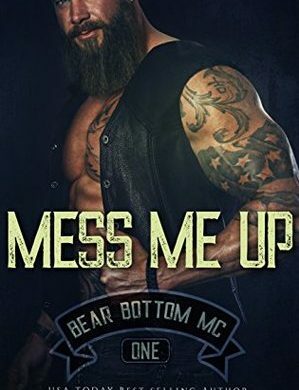 2 Thumbs up for a phenomenal read and a terrific start to the Bear Bottom MC series. This reader can’t wait to see what happens next in the small biker town of Bear Bottom, Texas. This one just ripped my heart clean out of my chest. A loss so strong that it turns the once charming Rome into a bitter and grumpy shell of a man. A man that Izzy has fallen in love with. Can her love bring him back to life after the loss he has suffered? Izzy is a strong woman, one who is capable of standing on her own, which she has been doing despite her messed up family. She’s began her own cleaning business along side working for her unappreciative family. She has straightened her spine and tackled Rome head on in trying to bring him back to the land of the living. But one appointment, one confirmation and one confession and her whole world gets turned upside down. In his defense, Rome is scared. He’s lost so much and the thought of the possibility of losing again he feels will totally destroy him. He doesn’t want to take that chance. He can’t take that chance. But he misses Izzy and he loves her. He just can’t find it in himself to take that first step. So he does what they have done for years before actually meeting. He writes her letters, telling her how he feels, he just can’t bring himself to mail them. This is a very strong story, one that will crush you, but it will also mend you as well. I adored Rome and Izzy and I know you will too. 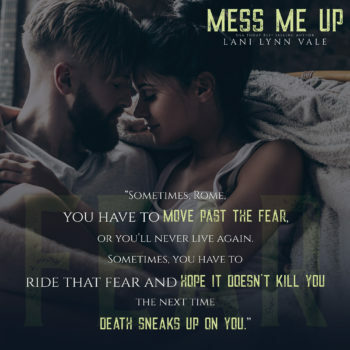 I highly recommend this book and this series, which promises to bring us much romance, as well as intrigue, excitement and heat.